Extended Stay Deluxe Houston Med. Ctr. Reliant Pk. La Concha Ln., Houston Deals - See Hotel Photos - Attractions Near Extended Stay Deluxe Houston Med. Ctr. Reliant Pk. La Concha Ln. North America • United States • Texas • Extended Stay Deluxe Houston Med. Ctr. Reliant Pk. La Concha Ln. Homestead Houston Med. Ctr. Reliant Pk. 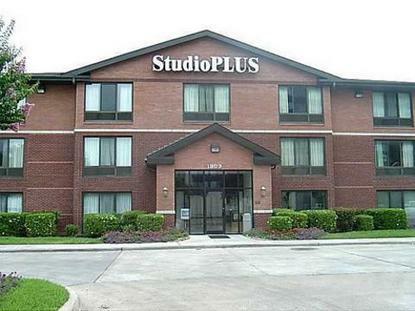 Fannin St.
Extended Stay Deluxe Houston Med. Ctr. Reliant Pk. La Concha Ln. ESD Reliant Park Med Ctr La Concha is designed specifically for people who need more than just a room while away from home. In addition to the sofa sleeper, comfortable arm chair, and large work desk, the oversized studio suites feature a kitchen that allows you to prepare meals at your convenience. As a guest of ESD Reliant Park Med Ctr La Concha, you receive free movie channels, free local phone calls, voice-mail, and a two-line phone with a computer dataport. Guests also have access to a 24-hour, coin-operated laundry facility. Weekly housekeeping ensures that you have fresh linens throughout your stay.Pet policy- only one pet allowed in room. A 25.00 USD per day non-refundable cleaning fee- not to exceed 75.00 USD per stay - will be charged the first night of your stay.HOUSEKEEPING POLICY -EXTENDED STAY HOTELS IS COMMITTED TOENSURING A CLEAN ROOM AT A REASONABLE RATE.SERVICES ARE SCHEDULED BASEDUPON THE NUMBER OF NIGHTS RESERVED..1-6 NIGHT STAYS - TOWEL EXCHANGE AVAILABLE AT THE FRONT DESK7+ NIGHT STAYS - ONE FULL SERVICE PROVIDE EACH 7 DAYS.FULL SERVICE -DUSTING, VACUUMING, CHANGING LINENS AND TERRYEMPTYING TRASH AND CLEANING OF BATHROOM AND KITCHEN**DISHES ARE NOT WASHED**REPLENISHING SOAP AND TOILET PAPER IF NEEDEDADDITIONAL FULL SERVICE CAN BE PURCHASED AT 10USD PER SERVICE.REFRESH SERVICE -REPLACING TERRY AND EMPTYING TRASHREPLENSHING SOAP AND TOILET PAPER IF NEEDEDMAKING BED WITH EXISTING LINENSREFRESH SERVICE MAY BE PURCHASED AT 5 USD PER SERVICE..VISIT THE FRONT DESK FOR ADDITIONAL LINEN, TOWELS,SOAP, OR TOILET PAPER BETWEEN SERVICES.